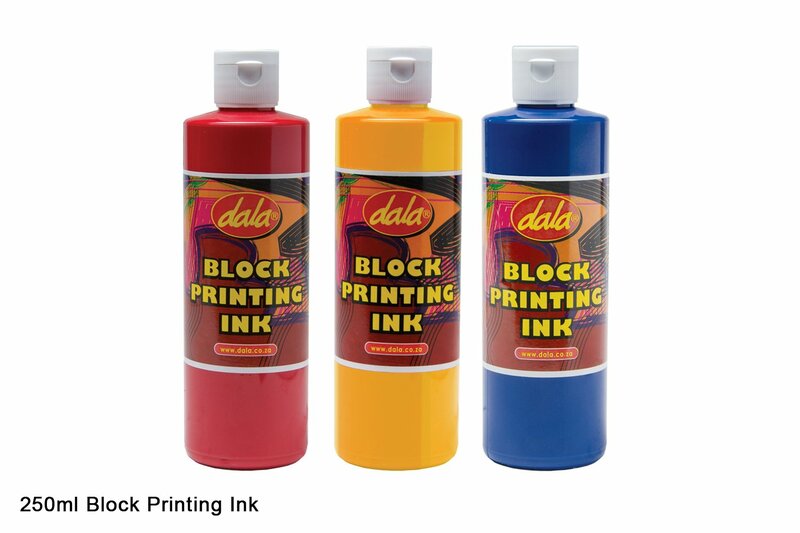 Dala Block printing Ink is a quality, water based ink that offers great coverage and intense colour. Used in the process of print making. Suitable for use in both block print and lino print making. Essential to the process of preparing a print, are the tools. one should use a flat, non-stick surface to empty ink onto - such as a sheet of glass. A small amount of Artists Stand oil can be added at a time and mixed in with a palette knife to thin the ink to your taste. Once you have mixed the colour or the consistency you desire, roll a brayer or rubber roller into the ink. Ensure that there is an even coating all the way around the roller head. Apply the inked roller to your carved material by rolling the brayer back and forth, reapplying ink where needed. The piece is now ready for the press. This item has 1081 views.